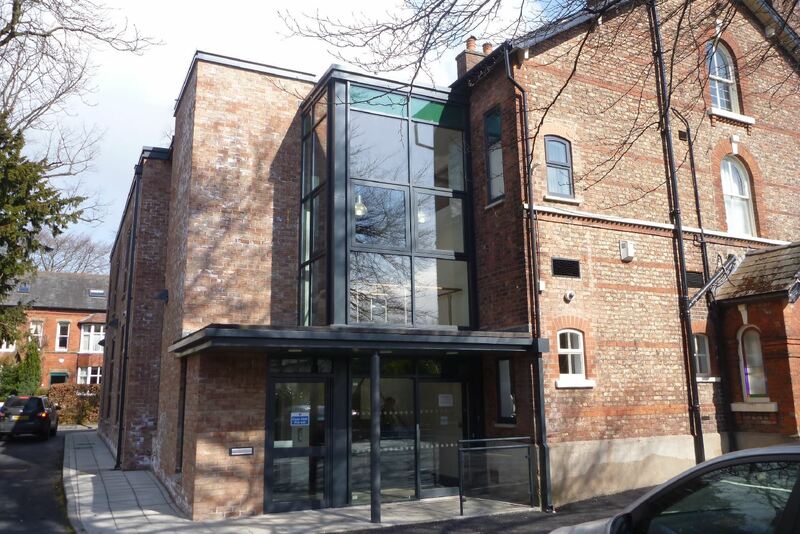 Kenmore Medical Centre occupies two converted Victorian villas, close by Wilmslow Town Centre. 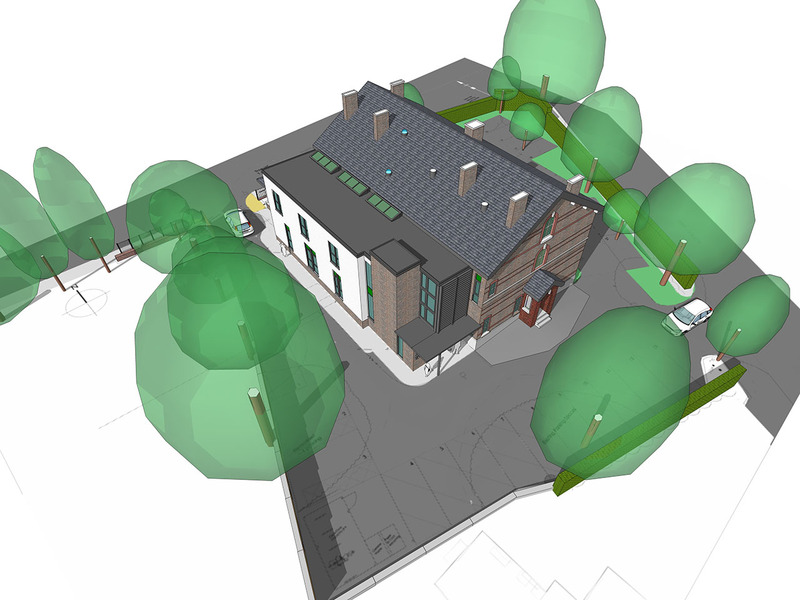 A tight site on the edge of a conservation area, the building is surrounded by patient and doctor car parking, realising, on the face of it, little expansion potential. 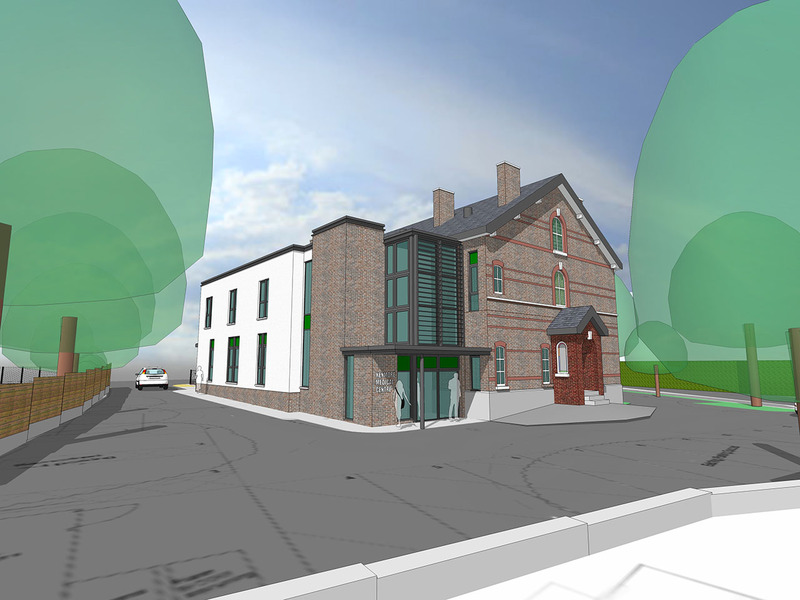 The Client approached the Practice to review the existing building relative to improvements necessary for C.Q.C. registration, including access and an increase in the number of consulting rooms. (4 consulting rooms currently occupy the basement, with inadequate stair access). After developing the brief with the Client and assisting with an application for a Premises Improvement Grant, the Practice saw the opportunity to demolish a recently constructed small single storey entrance and toilet block and replace this with a two storey extension across the whole of the rear façade. This would facilitate provision of new accessible consulting rooms, a specialist minor ops suite, new lift and ambulant entrance staircase, significantly improving the access profile of the Medical Centre as a whole. Carefully considered phasing of additional internal alterations to the existing building, including creation of new staff facilities, sub waiting and a larger relocated pharmacy, meant that works could proceed whilst the building remained occupied. Given tight timescales relative to funding streams, the project needed to be designed in such a way that potential delays to the programme were avoided, e.g. minimise risk of protracted bat mitigation measures by designing building to avoid affecting potential roosts. The building was designed as a contemporary addition to the existing building, with bricks selected to be a close match to the existing.